Frank Meats Patty closed less than a year after opening in the former location of Hot Doug's. AVONDALE — The neighborhood hot dog joint that replaced Hot Doug's in January has closed. 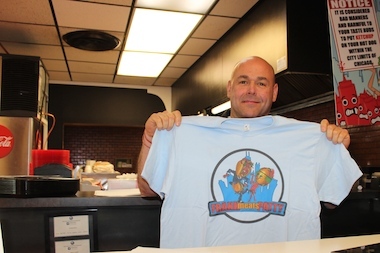 On Friday, Frank Meats Patty announced the closure on its Facebook page. "We're sorry to announce that we have decided to close Frank Meats Patty. Thank you to everyone for your support over the past year. David and the team are going to focus more of their time at Fatso's Last Stand. Come stop by and say hi! Thanks again to our customers & staff," the message said. In much smaller print at the bottom of the announcement, the eatery advised to "be on the lookout for a different concept opening with new owners." Former manager Bob Corbett will not be involved with Fatso's Last Stand, 2258 W. Chicago Ave., Fatso's employees said Monday. The Ukrainian Village hot dog joint, 2258 W. Chicago Ave. has the same menu as Frank Meats Patty and is open late. Corbett took over operations for Fatso's when its previous owner, Phil Ashbach, died in June 2014. Frank Meats Patty announced its plans to open at 3324 N. California Ave. shortly after Hot Doug's closed in October 2014. In January, Frank Meats Patty opened with an homage to its predecessor — duck fat fries — and free food. 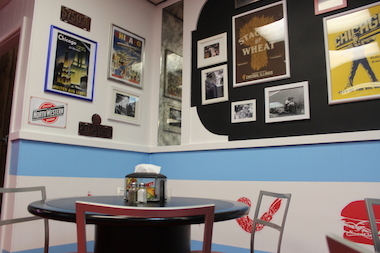 Corbett said he wanted the spot to return to its roots as a neighborhood joint. "We won't ever have those long lines. I don't ever see that happening," Corbett said at the time. "We won't do what Doug does, but we definitely have a following."